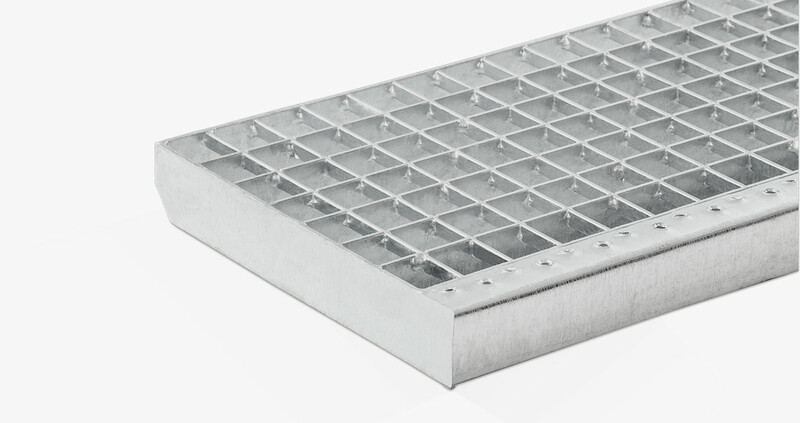 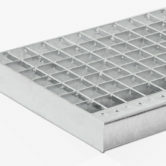 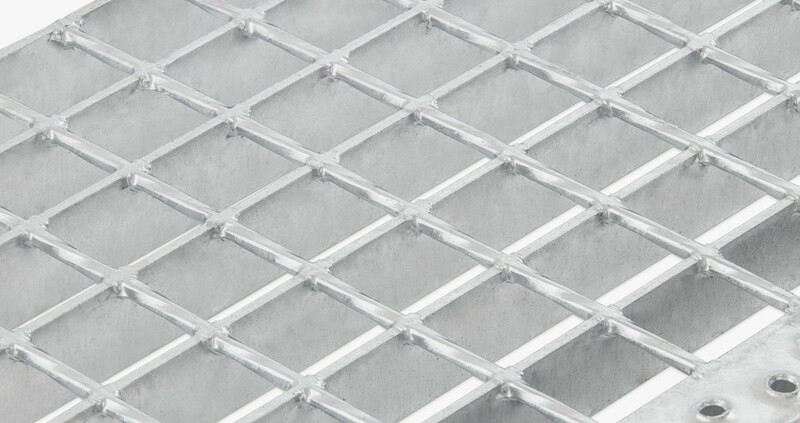 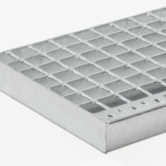 Metal grating step, with sides of the same height as the bearing and non-slip front bars that enhances the visual perception of the step and provides forward anti-slip, which is mounted over the auxiliary structure of the side rails. 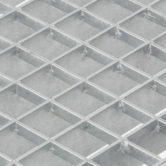 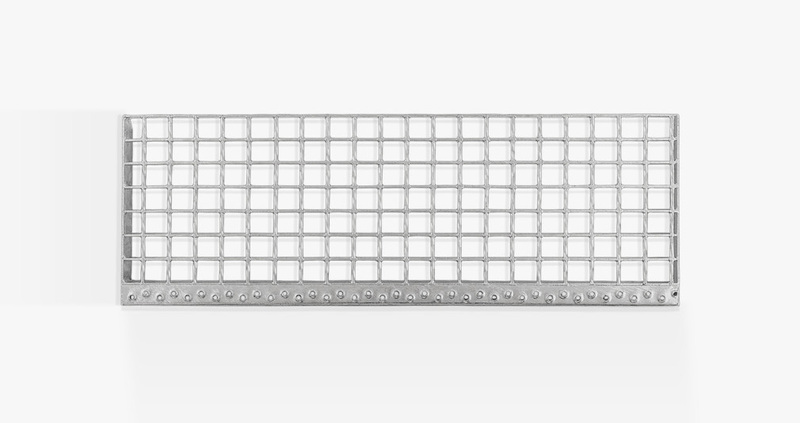 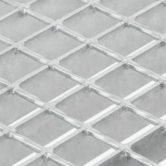 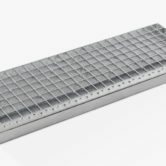 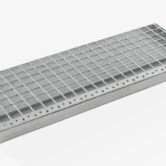 Could be produced as everyone grating type, as electrowelded, as pressed and manual grating. 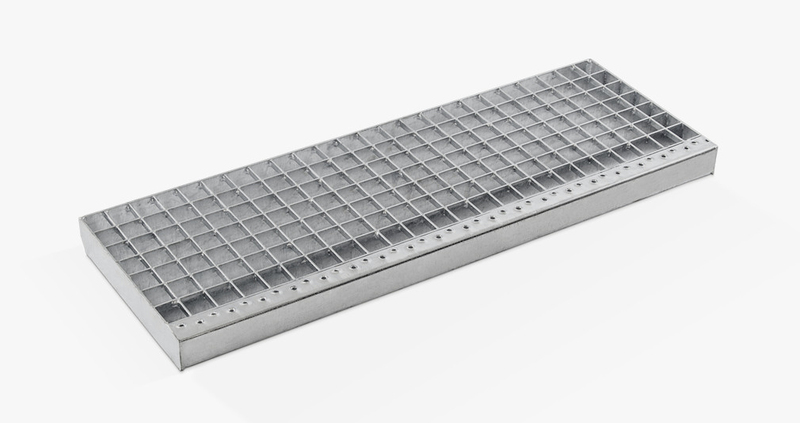 In case of electrowelded grating step , the bearing bars and separating bars will be joined by welding, without adding welding material and pressure concentrated on the joints. 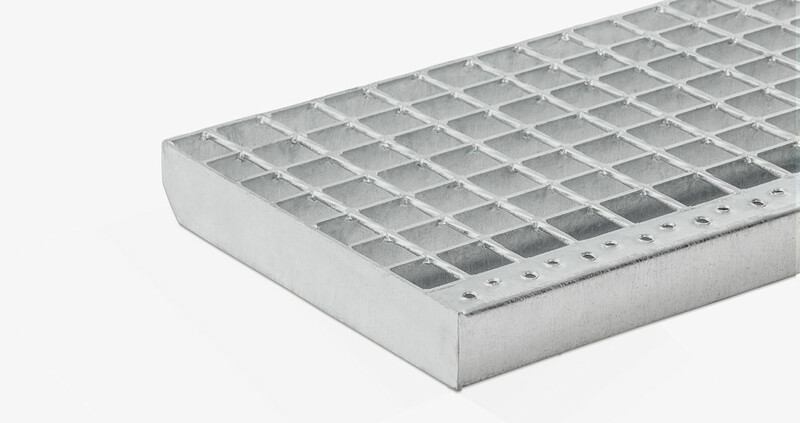 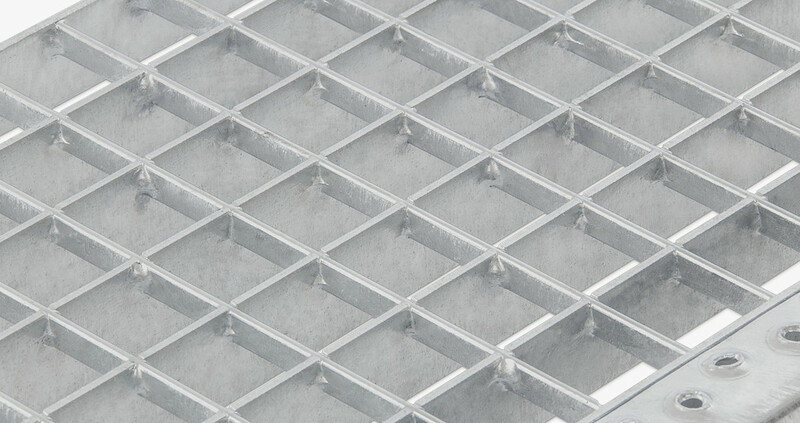 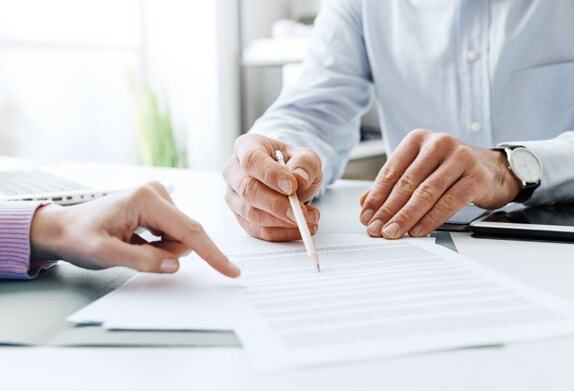 In the case of pressed grating step, bearing bars and separated bars will be joined by mechanical pressure, and for manual grating kind will be joined by fitting both together without pressure and welding reinforcement in alternating joints. 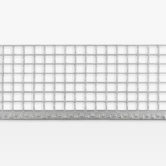 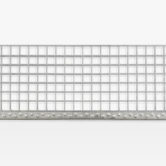 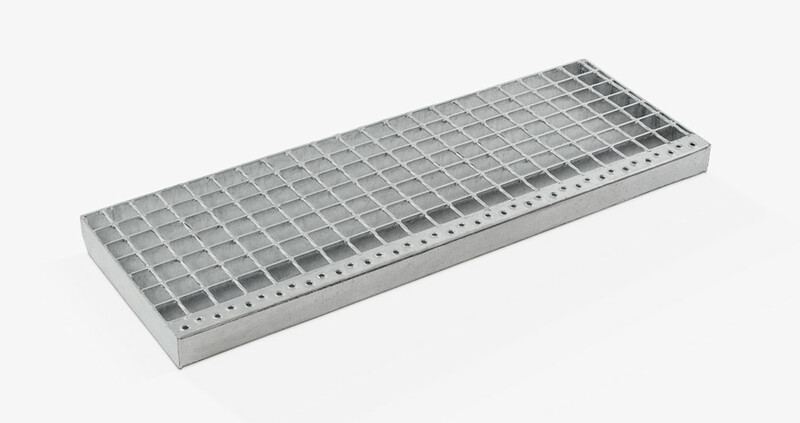 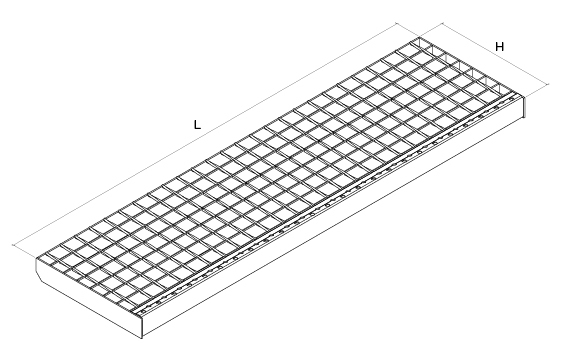 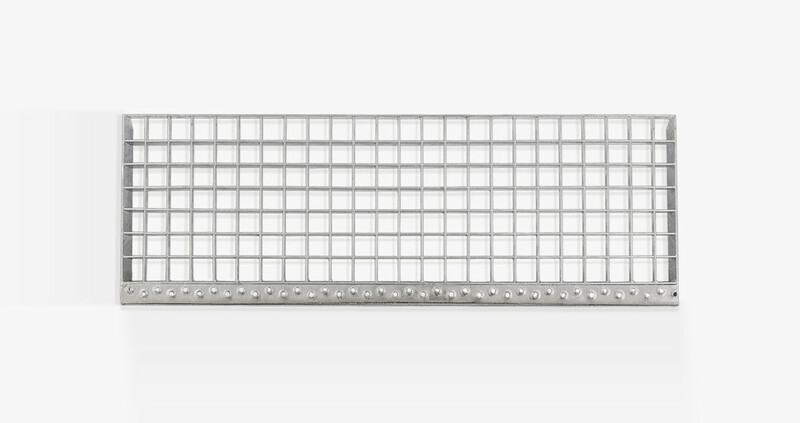 Electrowelded grating could be produced as intermittent teeth serration or half moon serration, in the other hand, in case of pressed and manual grating bearing and separating bars could be produced with continuous teeth serration type or with half moon serration. 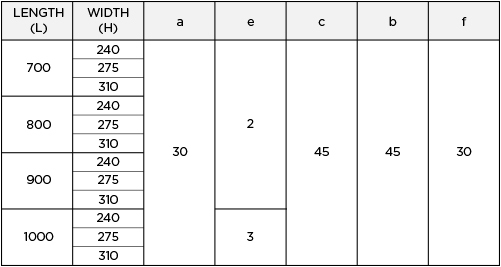 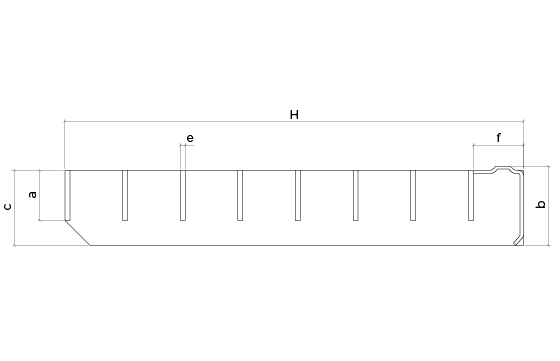 The values shown in the tables are referenced to those included in the graphical representation of the product.